Over the past two years, Ashesi has successfully managed 10 construction projects thanks to the support of generous donors. Our newest buildings support engineering, fabrication, research, student & faculty living, green tech incubation, and student wellness. To increase our impact and serve more students, our immediate priority is to raise funds for the construction of additional student housing. 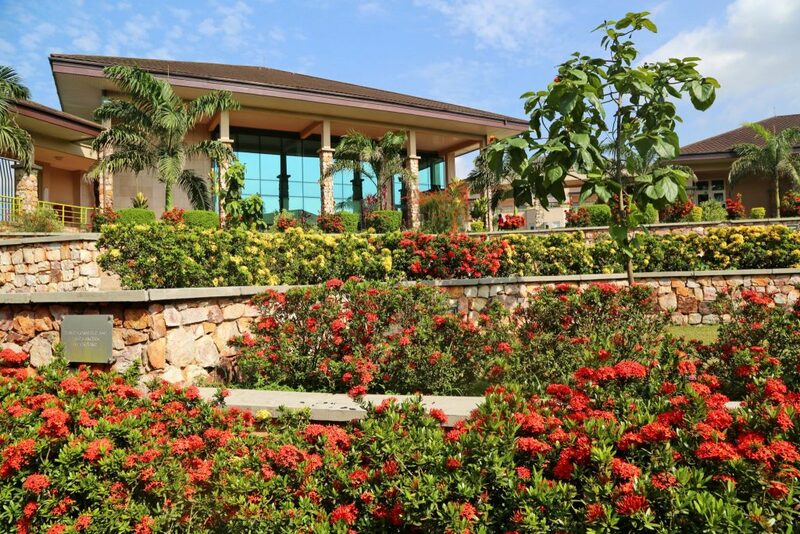 A fully immersive campus experience is an important part of an Ashesi education. Ashesi transforms students’ ethics and attitudes and fosters a willingness to take responsibility and to lead. As we enroll more students from across Africa, it becomes even more important to have the housing and gathering spaces to support this cultural transformation and to foster community in our diverse student body. In addition to promoting a strong campus culture, on-campus student housing plays a very important role in convincing families to send their daughters to Ashesi, especially in their first year. As such, the university’s current ten-year plan seeks to improve the availability of on-campus housing. 77% of first-year students currently live on campus. We seek to increase that ratio to 100%. In September 2018, we opened our newest dormitory, C (pictured below). For 96 returning and first-year students, this residence provides a home base for community building and supporting one another’s academic experience. We are now actively raising funds to build housing for another 96 students. The funding required to build Dormitory D is $3,172,000. Gifts of all sizes help secure housing for students. Thank you for helping to enrich students’ campus and classroom experiences. 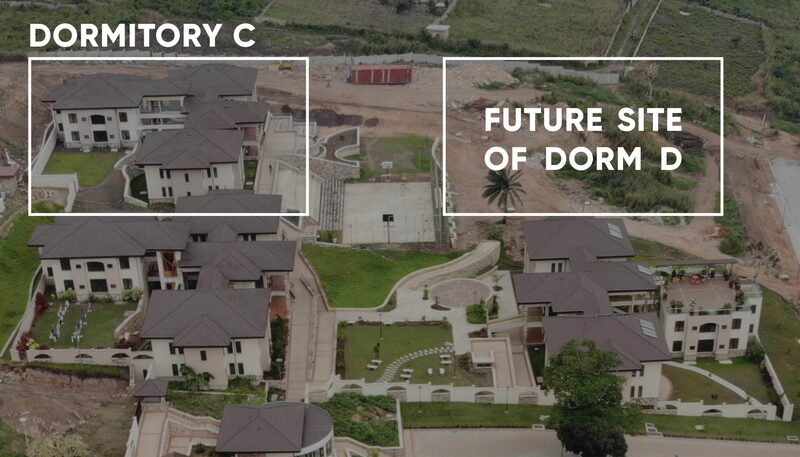 For gifts restricted to the student dormitory, Ashesi Foundation will set aside 10% into a contingency fund, and 12% to cover administrative and fundraising expenses. Interested in supporting campus growth at Ashesi? Donate now or learn more by contacting the Foundation at (206).545.6988 or foundation@ashesi.org.